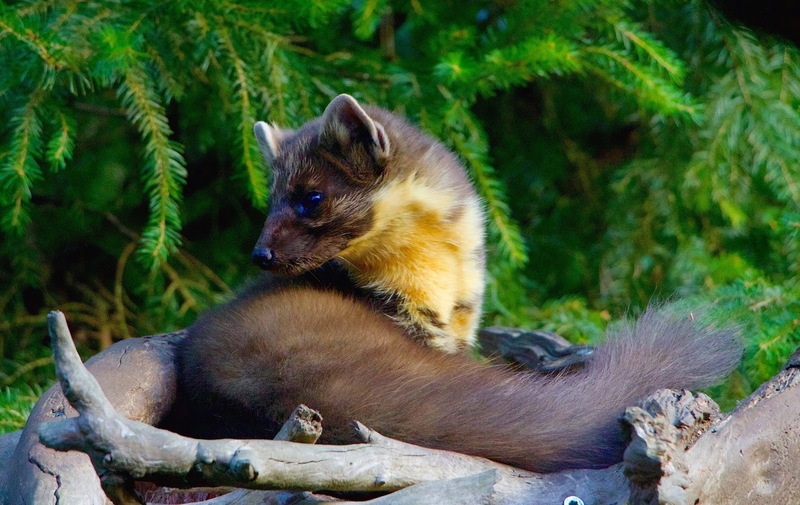 In response to several requests for information about pine martens, here is our expert opinion on the agile, tree-climbing mammal that is once again becoming more widespread in Scotland. 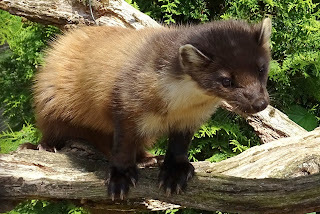 Belonging to the mustelid family, which includes mink, otter, badger, wolverine and weasel, the European pine marten (Martes martes) is native to northern Europe. With plush, silky fur – which grows longer and silkier during the winter months - ranging in colour from light to chocolate brown, they sport a creamy yellow throat ‘bib’. Their small, rounded ears are highly sensitive and they are the only member of the weasel family to have semi-retractable claws, which enable them to climb and cling to tree branches. The male is slightly larger than the female, on average weighing around 1.5kg (the equivalent of three bags of sugar) to 2kg. 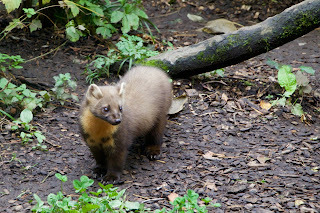 A pine marten’s body is around 50cm long, with a bushy tail stretching a further 25cm. An adult pine marten can be bigger than most domestic cats. 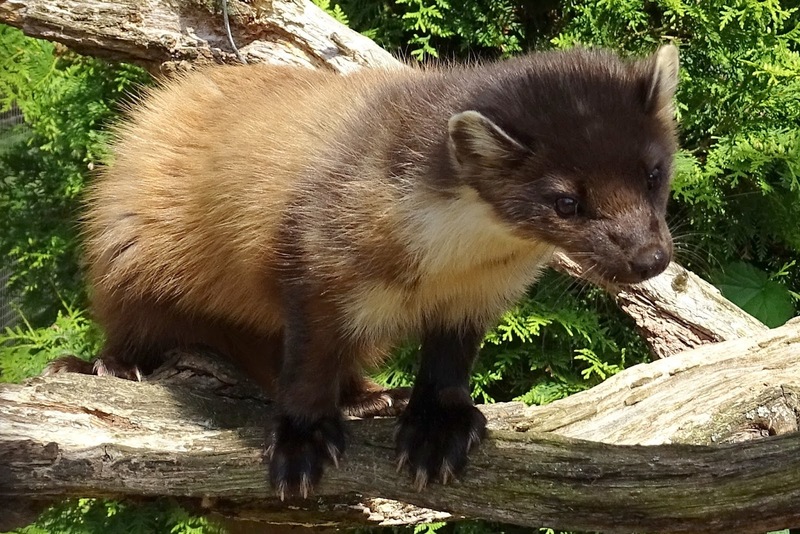 As a result of widespread decline in the 19th century – due to the clearance of native woodlands, trapping for fur, and gamekeepers controlling numbers – by 1915 pine martens existed only in remote pockets in the north-west Highlands. However, they have since spread into Sutherland and Caithness, and can also be found in Moray, Aberdeenshire, Perthshire, Tayside and Stirlingshire, as well as the Kintyre and Cowal peninsulas. They are occasionally spotted on Highland Safaris land, although more often than not we find their droppings, which are quite distinctive and often have berries in them. You can see pine martens year round, but as with much wildlife, you are more likely to see signs of a pine marten than the animal itself. They are crepuscular creatures, which means they are mainly active at dusk and night. Naturally shy, the pine marten tends to be scattered in small numbers, making them tricky to spot. Territorial animals – with territories of 5-15 square kilometres for females and as much as double that for males - they mark their ground by leaving droppings in particular locations. What habitat do pine martens prefer? The elusive pine marten prefers native woodlands with plenty of cover, although it can also survive in conifer plantations and on rocky hillsides. They feed on small rodents, birds, eggs, insects and fruit, and can be problematic for red squirrels as they are particularly agile in trees and much more ferocious. They can also be a problem for any farmer with hen houses. During the mating season, pine martens make shrill, cat-like calls. In the spring, they have litters of 3-5 young, which are ready to go it alone by the time summer comes round and can live up to ten years. Although they are occasionally preyed upon by golden eagles and foxes, humans are the greatest threat to pine martens. In the UK, pine martens and their dens are offered full protection under the Wildlife and Countryside Act (1981) and the Environmental Protection Act. It’s the moment that you have dreamed of, playing ideas out in your head since the day you decided it was forever. You’ve picked the ring and you know what you want to say – but have you found the perfect location to ask the biggest question of your life? Make that magical moment even more memorable by popping the question in the breathtaking surroundings of Highland Safaris. 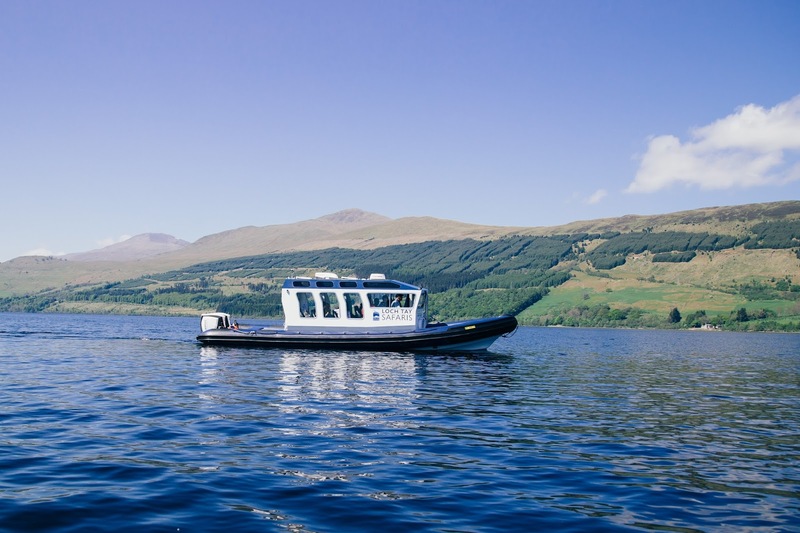 Based in Aberfeldy, Perthshire, and set amongst thousands of acres of sprawling Scottish Highlands, you and your loved one will feel like the only two people in the world at Highland Safaris. 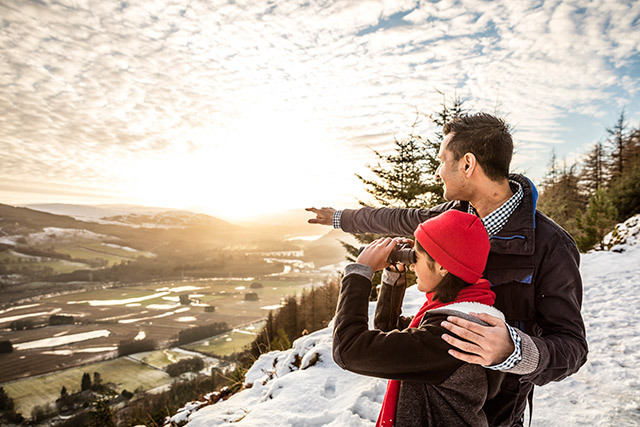 Experience a private tour, enchanting sunsets, the perfect backdrop to the biggest moment of your lives to date, or just take in the captivating natural scenery surrounding you both. And whether you choose the cosy and romantic Hilltop Bothy, hidden away off the beaten track and only reached by Land Rover, or out in the heart of the rugged landscape, it will be a moment neither of you ever forget. 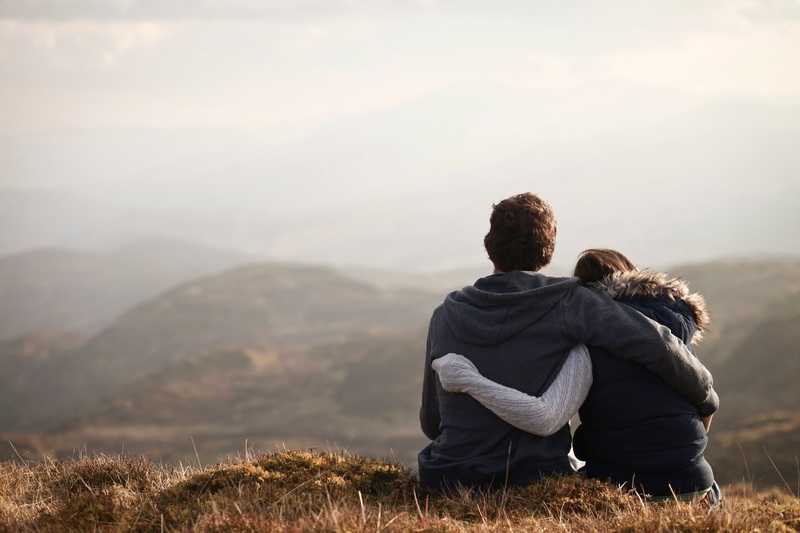 However you choose to pop the question this Valentine’s Day, Highland Safaris has a location that will capture your partner’s heart. It is also home to unique marquee and bothy locations for the big day itself, so you can revisit the place you created some of your most precious memories for years to come. 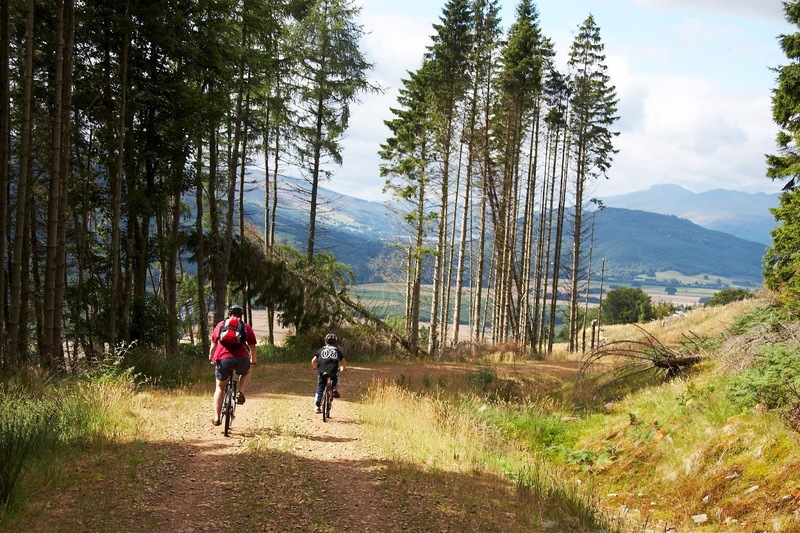 Now that we are into February the days are getting noticeably longer and lighter, which offers more opportunity to spend in the great Scottish outdoors. 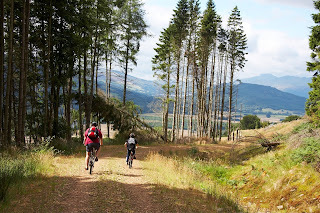 Wildlife watching is always hugely popular with visitors to Highland Safaris, whether they are out on bikes, on a Land Rover trip or simply walking one of our many trails. 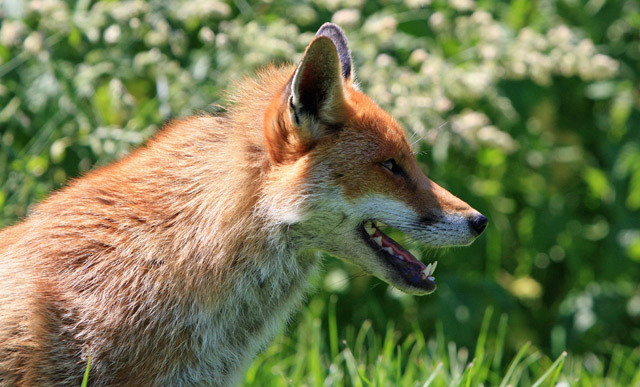 And one of the most popular creatures to look out for is the red fox, so here are our wildlife rangers’ expert tips on the wily red. I want to see a red fox, but where do I start? 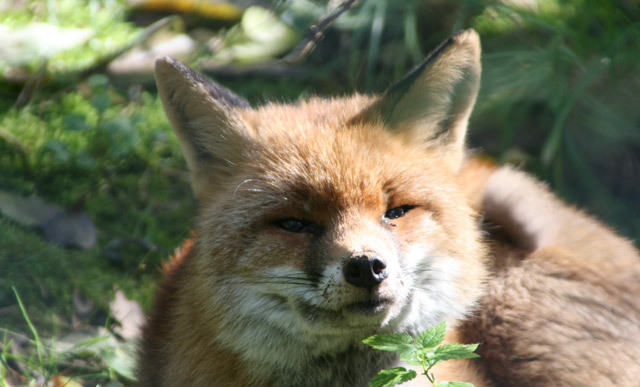 The red fox (whose scientific name is Vulpes vulpes) is the UK’s only wild member of the dog family. Hardy and resourceful, it has a reputation for intelligence and cunning. Slightly smaller than a medium-sized domestic dog, the adult measures around 75cm from head to tail and weighs around 5kg (it stands about knee-height to a 6ft-tall man). You may catch a glimpse of an orange-red creature, so check to see if it has a flattened skull, upright triangular ears with black tips, a pointed snout and a long, bushy tail, which is known as a brush. When on the trail of the fox look out for droppings, which are often grey-tinged with small mammal bones in them, on tracks. And if you spot tracks in the snow, check to see if they are in a straight line as foxes put each paw into the same track. When is the best time to see red foxes? Foxes are out and about all year, and can be active by day. Red foxes mate during winter, with vixens making noisy, yipping calls at night to attract a mate. A pair will stay together to act as parents to newborn ‘kits’ or ‘cubs’, which are born blind and resemble a puppy, with a short nose and ears, and brown fur. The young stay in the den for several weeks and after three months are left to fend for themselves. 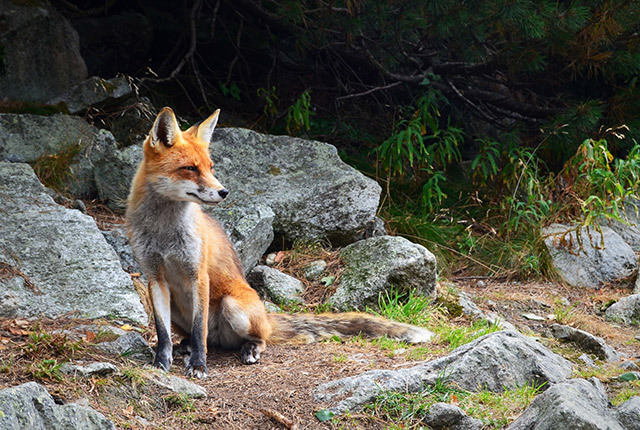 Where are the best places to look for red foxes? 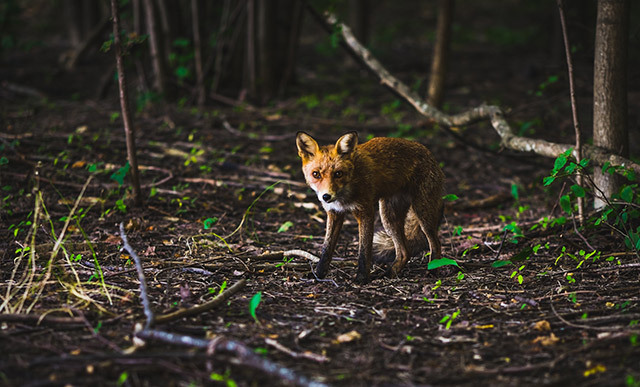 Foxes are able to survive in diverse habitats ranging from forests and grasslands to mountains, but also adapt well to human environments, such as farms and suburban settings. They can be spotted anywhere from the shores of lowland lochs, to woodlands and mountains. Wild foxes can live around 7-10 years, while in captivity that can extend to around 15 years, similar to pet dogs. Perhaps surprisingly, foxes are omnivorous, enjoying everything from small mammals, rodents, birds and carrion, to berries and fruit. Urban-dwelling foxes will scavenge food from bins. Excellent hunters, they are extremely quick off the mark, and can turn and jump with ease. January 21 is Squirrel Appreciation Day, and with Scotland being one of the best places to find these much-loved woodland creatures, it’s the perfect time to share our tips on how and where to spot red squirrels. 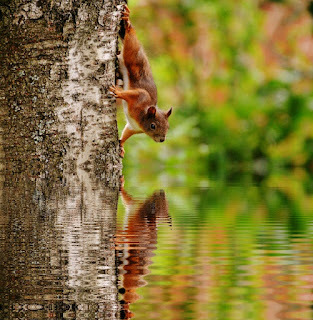 Where can I find red squirrels? 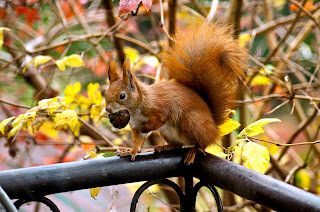 Shy and solitary, the red squirrel (Britain’s only native squirrel), has been on UK shores since the end of the last Ice Age, having made its way over from mainland Europe approximately 10,000 years ago. Today, 75 per cent of the UK’s remaining red squirrel population is found in Scotland. 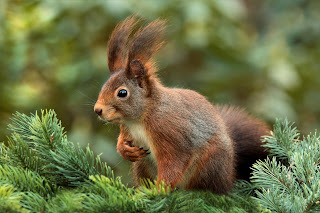 Red squirrels prefer to live in coniferous trees, particularly Scots pine, and can be found in the forests of the Highlands and Dumfries & Galloway. Its preferred food is nuts from both conifer and deciduous trees, both of which we have in abundance on the land around Highland Safaris, so we regularly see them here – as well as the cones they have been nibbling on. 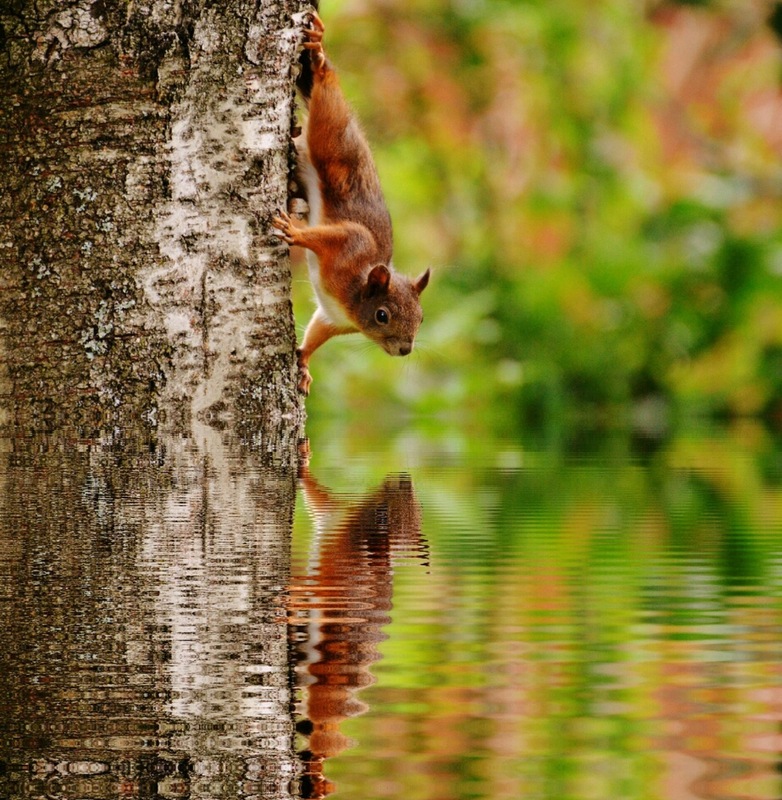 How can I spot a red squirrel? Stay nice and quiet, and listen carefully! Reds are shy animals and the sound of their claws on the bark as they climb trees can often be heard before they are seen. Squirrels will often freeze when disturbed, relying on their camouflage to hide against the bough of a tree. 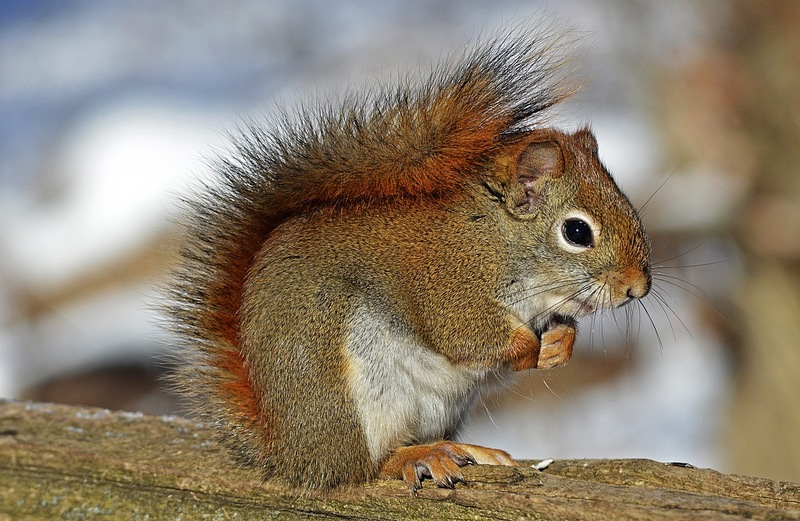 Easy to identify once you do see one of these rare creatures, the red squirrel has a large bushy tail – which is used for balance when leaping from tree to tree – distinctive tufts on its ears, and sharp, curved claws to help it race up and down tree trunks. How big are red squirrels? Smaller than the eastern grey, the red squirrel has a typical head-and-body length of 19-23 cm and a tail length of 15-20 cm; males and females are the same size. When is the best time of year to see red squirrels? You can see them all year round; this might come as a surprise, but red squirrels don’t hibernate, although – like many of us – they do become less active throughout winter. Their coats, which vary in colour with the time of year and location, are at their thickest and most colourful in January. During mating season, which in Scotland can start as early as December and continue until July, you can see males chase females through the trees at amazing speeds – only the fittest males will catch them. Red squirrels can have one or two litters a year – with an average of three to four ‘kittens’, which are born without any fur. They give birth in a nest called a drey, which is so well constructed from leaves, twigs and moss as to be almost waterproof. With today being National Save the Eagles Day, we thought it would be the perfect time to share how to go about spotting one of Scotland’s most iconic birds. Beautiful, powerful and graceful, the Eagle – in particular the Golden Eagle – tops many a wildlife watchers’ wishlist. And getting out into the wilds of Scotland offers the best chance of seeing one in all its glory. Since 2003, there has been a 15% rise in the number of Golden Eagle pairs in Scotland, with that figure now sitting around 500. 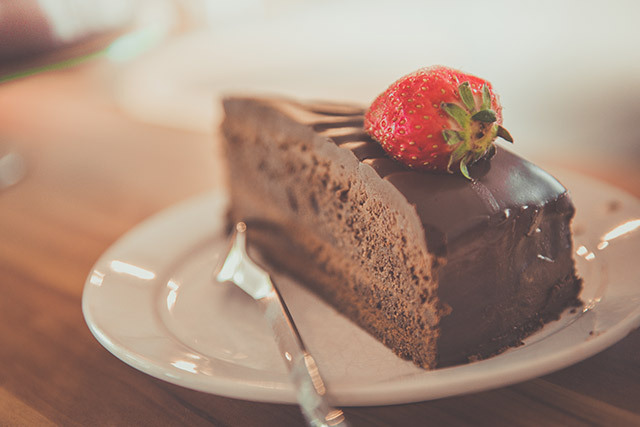 Spotting one takes time and patience though, so we’ve put together our top tips on how to go about it. 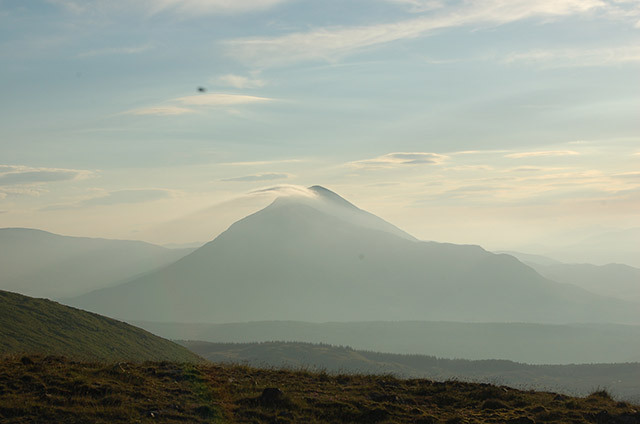 Keep your eyes peeled and with a bit of luck, you’ll be rewarded with one of the most majestic sights the great Scottish outdoors has to offer. The white tail Sea Eagle is the biggest bird of prey in the UK – they were once hunted out of existence, but were successfully reintroduced in the 1970s. Big and bold, they basically look like flying railway sleepers in the sky! Golden Eagles are easy to confuse with the more common Buzzard. However, the Golden Eagle is bigger, will soar higher than a buzzard and holds its wings in a shallow V shape. What are the differences between sea eagles and golden eagles? The main difference is the size and wing shape; the sea eagle is bigger and the tips of its wings are “fingered” and can look quite square from a distance. Where is the best place to eagle spot? There is a greater chance of seeing sea eagles in the Inner Hebrides, but you can also spot them in Angus and Fife. 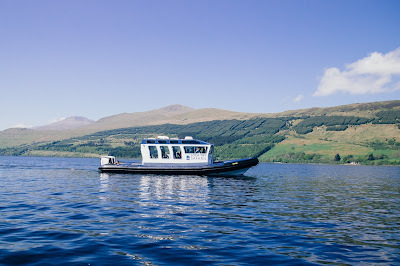 Golden Eagles can be seen around Highland Safaris’ land, but we are a bit too far inland for the sea eagle (although they have been spotted in Perth). Top spots also include the west coast and islands, from Mull and Lochaber, and Skye to Lewis. Where do eagles like to hang out? Golden Eagles actually prefer open moorlands and hilltops, but the more remote the area, the more likely there are to be eagles - islands and remote glens are a good place to start. 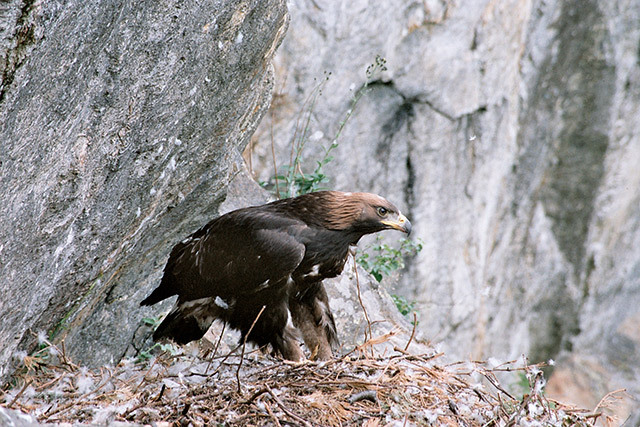 Golden Eagles are monogamous and may remain with their mate for life. They also tend to nest in the same place for generations (they like rocky outcrops and crags). When is the best time of year to see eagles? All year round. Look out for the looping, soaring and gliding flight arcs on the air currents. Eagles have traditional territories, which may also be used by offspring in years to come.